The Yankees looked as though they were about to plunge into a three-way dead heat with Texas and Philadelphia as a 3:1 bet to win it all until the 8th inning rally that sparked the comeback. 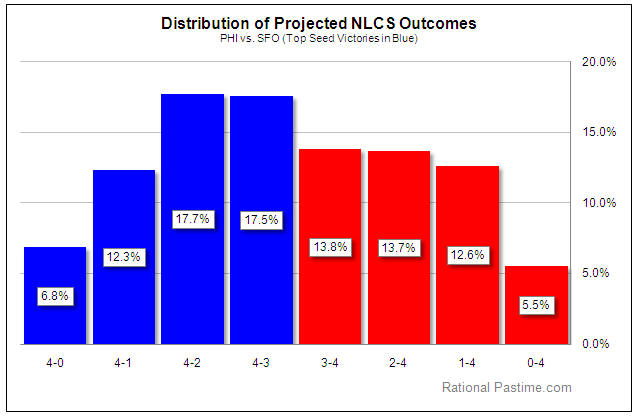 With the NL off, the Phillies and Giants hold relatively steady. 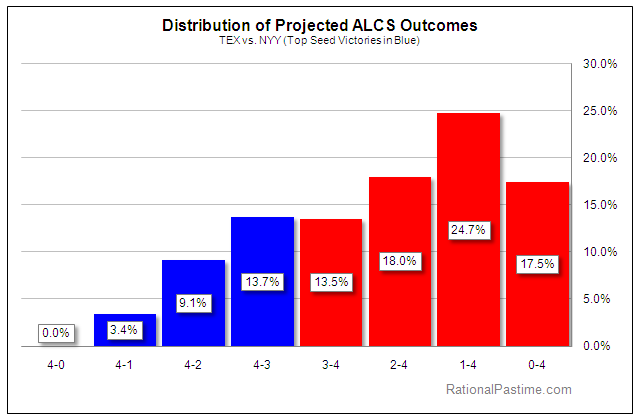 Individual series projections and win distributions after the jump.